The chapters are as diverse as the professionals who have written them. 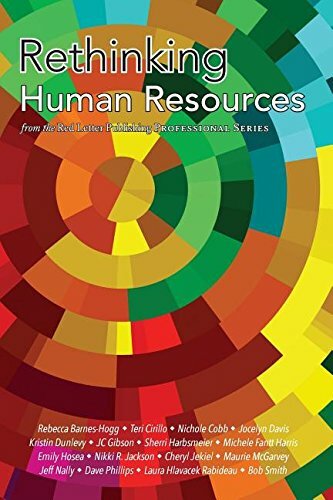 Rethinking Human Resources covers a range of topics, including employee engagement, executive coaching, organizational development, workplace culture, and the expanding roles of Human Resources in companies around the world. Adding insight to information, the chapters provide their own reasons that Human Resources is worthy of greater achievement as it evolves in the coming years. How can we improve our workplaces in noticeable, useful ways? How does one help employees become happier, healthier people? What information do we need to fully engage employees? What are the best ways for companies to bridge departmental gaps? How can employees--and departments--earn their seat at the table? Let their success and their stories be your guides. There is new and great potential for Human Resources waiting within these pages.